One of my favorite books - and it even has cooking. My most cherished books as a young girl had to be the Ramona books by Beverly Cleary. Cleary’s take on what it’s like to be a young girl trying hard to grow up is so spot-on it’s almost scary. 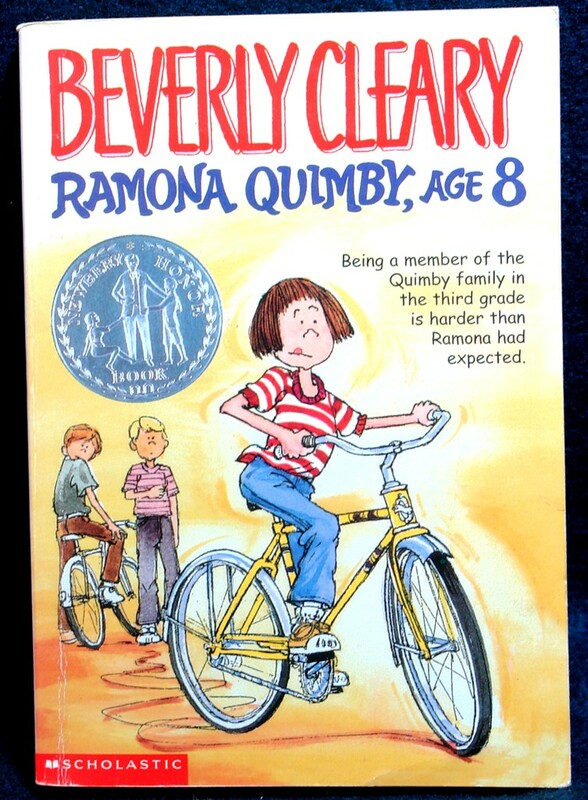 A lot of fun, hilarious, and interesting things happen to Ramona along the way, and one of my favorite stories is from “Ramona Quimby, Age 8”. In it, Ramona and her sister, Beezus, have been complaining about the cow’s tongue their mother has served for dinner (because it’s cheap and nutritious). They enjoyed it fine before they realized exactly what it was, and decide not to eat it. Their parents turn the tables on them, though, and tell them that the next night they will be the ones to make dinner for the family. Ramona tries to come up with excuses: But I don’t know how to cook. Her mother replies cheerfully, “You can read. If you can read, you can cook.” Those words have stuck with me over the years. I know, it sounds silly, because what her mother is saying is so obviously true that it’s the perfect response to shut a kid down. But it got me thinking. Yes, if you can read, you can cook. You can follow a recipe to the best of your ability and create something in the kitchen. But does that necessarily mean you’re a good cook? I think a tremendous amount goes into whether a person is a good cook or not. There’s a lot of subtext between the lines of a recipe card that isn’t written down. There's a natural, comfortable ease to good cooking. So where does that come from? First of all, I think it matters whether your parents enjoyed cooking and/or were good at it. I say and/or because I do think a person can be a good cook and not actually like the process. Maybe they simply love good food – sometimes that can be enough. But having a parent who enjoys it, and is good at it, helps. 2: My mother’s mother loved to cook and was also good at it, but she didn’t allow anyone to help her in the kitchen. She pretty much didn’t want anyone in her kitchen, ever, so my mother didn’t really learn a lot from her about the process. 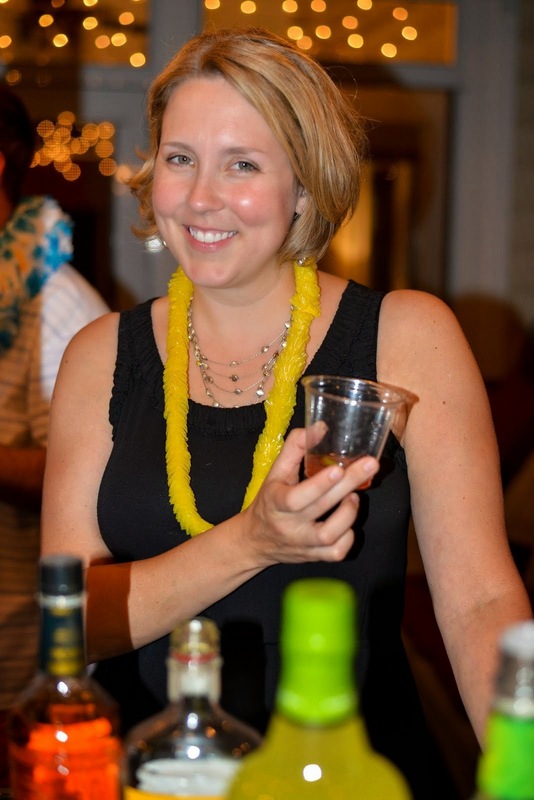 When she started out as a married woman, mom was starting from ground zero. Except, I don’t think she necessarily was. She already knew what good home cooking should taste like, what it should look like. She had a basis for comparison, so to speak. She found her way not from being taught, but maybe she was helped on quite a bit because it was in her blood. 3: A dear friend of mine, who shall remain nameless, likes to cook. But she isn’t very good at it (her words, not mine). She’s desperate to learn and get better, not just for herself, but also her family. One night a few months ago I heard her mother talk about how she was terrible at cooking, and absolutely hated the process. Ah-ha! I thought. Now I understood where my friend was coming from. And yet, here was my friend, maybe not a great cook (yet), but eager to learn and try. And so all this brings me around to my previous pondering. What does it take to make a great cook (not a chef, a cook)? I think background certainly helps. If you had a parent, or a relative (my husband’s Auntie Moki taught him how to cook delicious Hawaiian food for example) who loves cooking, it’s a great start. The next thing you need, as my friend proved, is a great desire to want to cook, or to even start learning. I do think that if you hate the process and don’t want to learn, you’re not going to be a good cook. Then I think you need to get some more education. No, I don’t mean everyone needs to run right out to their nearest Culinary School. Simply reading about food helps, and so does watching it. My base was my mom, but a lot of what I learned came from reading, and another large part came from watching the Food Network. Seriously. I’m not ashamed to admit that. Lastly, you need to practice, a lot. You won’t always get it right, but each failure and each success is a stepping-stone towards becoming good. The dinner that Ramona and her sister made turned out okay. Their parents pretended to enjoy it, even though the sisters knew it wasn’t really as great as they said it was. And the kitchen looked like a tornado had ripped through it. I wonder where we would find Ramona today and her stance on cooking, especially cooking done when it’s not a punishment. I like to think she grew up to enjoy the process, and used her super creativity to make some truly wonderful dinners for her friends and family. So what say you, readers? What’s your philosophy on what makes a good cook? Leave it in the comments! I totally remember the tongue episode in RQ age 8. ew. Is it weird to think that now Ramona is in her mid 30's? Beezus is probably 40. How old is Peter and Fudge? Also 40 and late 20's? I was going to, and then thought better of it. When I told her my plan she was happy that I didn't. I know my mom well!! I think Peter and Fudge are about the same age, though that was Judy Blume. Love Superfudge to this very day!! I think having that family basis is a great foundation! I, however, come from the opposite. My mom is a single mom and doesn't love cooking and doesn't think she's great at it. (I actually love some of her dishes, but she would generally say she doesn't season food enough and might burn things from time to time.) We grew up on takeout or eating out. I got inspired to cook when I got married and HAD to cook. I realized that I loved it and started straying from recipes, making them (according to me and others) better. From this experience, I think I would say a good cooks knows what kind of cook they are and has a passion for cooking. For ex: I'm not a great baker. I don't like measuring. I know this and so if baking, I don't stray from the recipes (or do so knowing I might ruin something) . I also have learned to trust my instincts. But I have friends who can only cook with a recipe in front of them, following it to the letter. My version of cooking stresses them out, whereas I get the heebie jeebies cooking with them. If you have passion about it, you can do it because you WANT to. Along the way, figure out what kind of cook or baker you are and embrace it! I completely agree with you, Anonymous! You definitely have to know what kind of cook you are. Being a true lover of baking my first approaches to cooking were to follow the recipe to the very letter, and yes, seeing my husband who LOVES to stray and improvise stressed me out. The only way to combat said stress was to have a glass of wine and stay out of the kitchen while he was in it! Now I really enjoy taking the risk and straying from the boundaries of the recipe, as long as I know the dish won't suffer from it.